Ask ex-pats about the differences between America and Germany, and customer service will be on the list. For those used to the American model, where polite staff and friendly transactions are expected and the customer is always right, the German approach can leave something to be desired. In fact, when I surveyed some of my fellow transplanted compatriots, the words “unhelpful,” “surly,” “rude,” and “oxymoron,” may have been mentioned. And it’s true, the models are very different. But perhaps there’s some inspiration to be taken from the German approach. Two interactions, one result: Tell me what you want. The destination is the same in both American and German customer service, but while the American road to get there is paved with a lot more pleasantries and small talk, Germans just take the Autobahn. Salespeople in Germany aren’t going to waste time guessing why you’re there. That’s not their job. You’re expected to be assertive and tell them what you want. That’s your job. And while at first it may feel rather aggressive and unfriendly to be so upfront, it can also feel empowering. You have agency in the interaction and it’s expected that you’ll act on it. What if the relationships between museums and their visitors was based on the same idea of directness? How might the dynamics between museums and their visitors be different if we all told each other what we wanted? 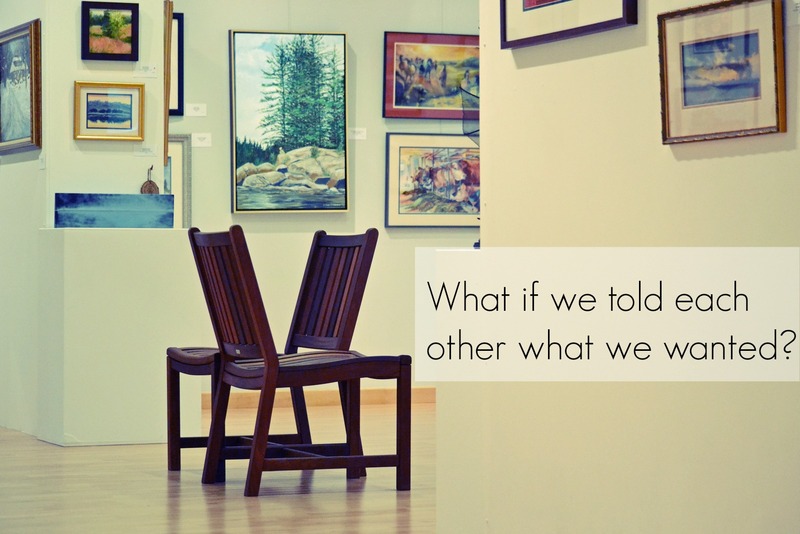 If visitors told museums exactly why they were there and the experiences they wanted to have? And if museums responded in kind with the goals they have for visitors? Could that level of honesty and forthrightness work? How might we all change if we developed relationships that were based, in part, on a transparency of expectation from both sides? At first, this approach might seem at odds with the goals of partnership and collaboration we have for museums and visitors – too cold and perfunctory. But I think it can align well, adding a new (meta) layer to museum-visitor dynamic in which the groups are invested in communicating with one another about the type relationship they want to have. Will museums be able to give every visitor what they want? Of course not. Will visitors always meet the expectations of museums? I doubt it. But will each side still be able to surprise the other with something they never even imagined they wanted? I hope so. As the relationships between museums and their communities continue to change, from temple to forum and from pantheon to partner, I think there’s a place for this type of meta-communication. Let’s try being open and upfront. Let’s get right to the point and tell each other what we want so we can get on to the good stuff of getting it. Is this type of transparency a next step for museums? What steps do we still need to accomplish first? Is this type of communication necessary for museums? And if it is, how can we encourage it? More focused front-line questions? Replacing the curator’s note at the beginning of an exhibit with content that includes a list of visitor-orientated goals? Motivation surveys on steroids? And if we really want the other side to tell us what it has to say, what do we do when we don’t like what we hear?